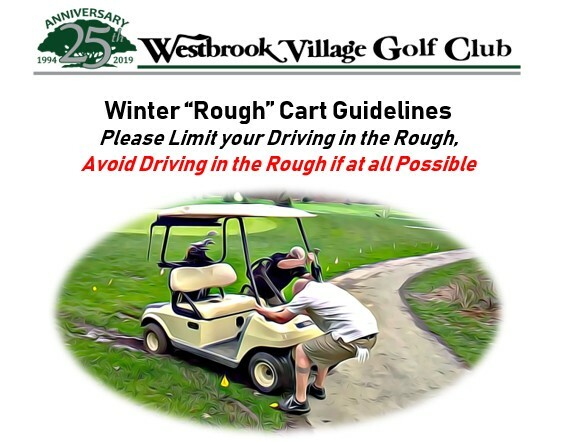 Maintenance yards, Driving Range, inside edges of sidewalks bordering the streets and the inside edge of property walls are all considered out of bounds. On Hole #5, of the Vistas course, the area to the right side of the cart path, defined by the white line, is also out of bounds. Areas marked or deemed ACC are free relief at nearest point of complete relief plus one club length or use the optional drop zone where available. Drop zones are available on Vistas Hole #2 & #13 and Lakes Hole #2. Rocks formed to create drainage areas and maintenance repairs are considered ACC. Cart paths and pump houses are immovable obstructions including shrubs, plantings, and bricks immediately around them. Any player whose ball lies within 6” of the Xeriscaped collar (desert meets the grass) will be allowed a free drop. The ball may be marked, lifted, cleaned, and dropped. The ball must remain within one club length of the original lie, but not nearer the hole. When a ball is embedded “In the General area” the player may take free relief, one club length of the original lie, but, not nearer the hole. Animal Droppings (ie duck, coyote, geese, etc.) may be treated as a loose impediment or ACC. Local rule F-12. The player may take free relief, one club length of the original lie, but, not nearer the hole. Out of bounds local rule E-5. 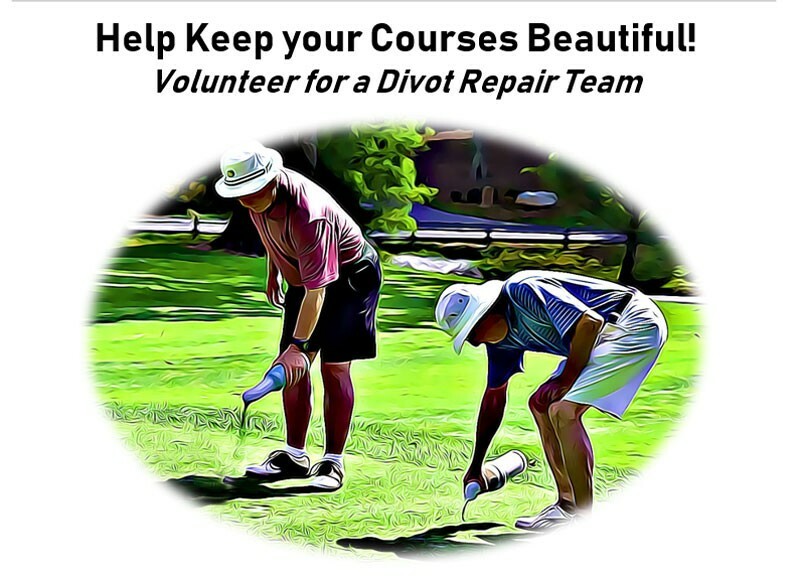 is an option, for stroke and distance for a ball that is LOST or OUT OF BOUNDS. Relief is from where it is known or virtually certain to be lost or where it went out of bounds, all the way to the nearest fairway plus two club lengths, no closer to the hole plus two stroke penalty. This option may only be used If a provisional ball was not put in to play or if the provisional ball was also lost or OB. This option may NOT be used with an unplayable lie. Local rule E-5 will be an option for all regular weekly games. Notice must be given to all players in Tournaments or rounds where this option local rule E-5 is withdrawn. If your ball is in the rough, but close to the fairway, park in the fairway and walk to the ball. Those with handicap flags are NOT allowed to drive in the rough near tee boxes and green, but may drive to 10 yards from greens in the fairway. Please use common sense and please don't drive in any areas that are muddy, overly wet or visibly worn. With temperatures no longer favoring the Bermuda grass we are asking everyone to LIMIT driving in the dormant non over seeded turf. 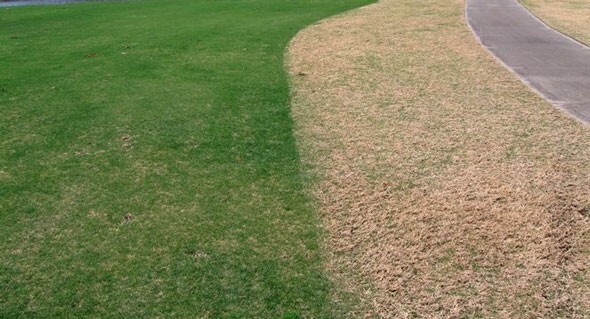 Overdriving in the non over seeded areas will cause the dormant grass to become unplayable. We will be posting signs to remind everyone and the golf shop staff will be making a daily announcement. We appreciate everyone’s cooperation and wish everyone a Happy Holiday Season.